NEPHILIM BIGFOOT CREATE CROP CIRCLES! 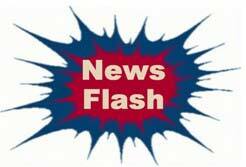 This just in from Internet News headquarters, where our motto continues to be: If it’s news; it’s news to us. Dateline Anywhere USA; hey, maybe even Your Town. A breaking story: The evangelical community’s gone nutso. Nephy Lim, our own Extraterrestrial Nephilim Correspondent, has just released a bombshell report that resolves two longstanding unsolved mysteries in one stupendous revelation. According to Nephy, CROP CIRCLES are caused by BIGFOOT! Nephy claims that indigenous Sasquatch and its related kin such as Bigfoot, create the CROP CIRCLES! And that These CROP CIRCLES these are actually LANDING PADS for the return of the vast army of ETs to Earth! Nephy claims that he can easily spot these CROP CIRCLES from outer space and that they serve as LANDING PADS for Extraterrestrials migrating back and forth between Earth and the Sky. However, Nephy is quite upset about some other data that has recently been divulged. 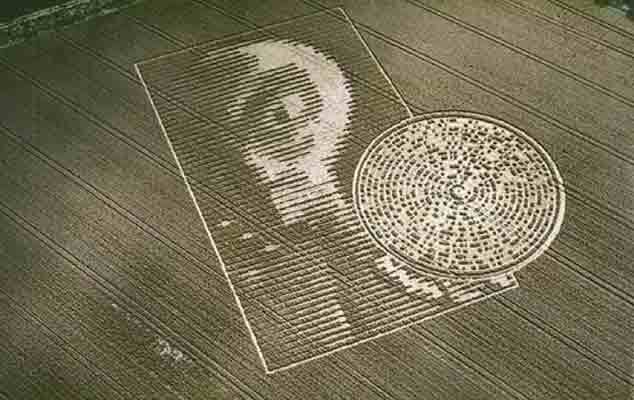 An image of a space alien appeared next to a Crop Circle in Winchester, England on Aug. 14, 2002. And a similar Crop Circle appeared in Roswell, New Mexico on July 4, 1947. [HERE and HERE] Nephy claims that these “memorial materials that Tom Horn put together” on the now-deceased paranormal researcher David Flynn” about alien crop circles is divulging his own Nephilim trade secrets! QUANTUM MYSTICISM CONFERENCE DVDS NOW AVAILABLE!